Make A Remote Controlled Robotic Arm With Arduino « Adafruit Industries – Makers, hackers, artists, designers and engineers! This is a guide to make a Remote controlled robotic arm (6DOF) or just to control some servos on something. 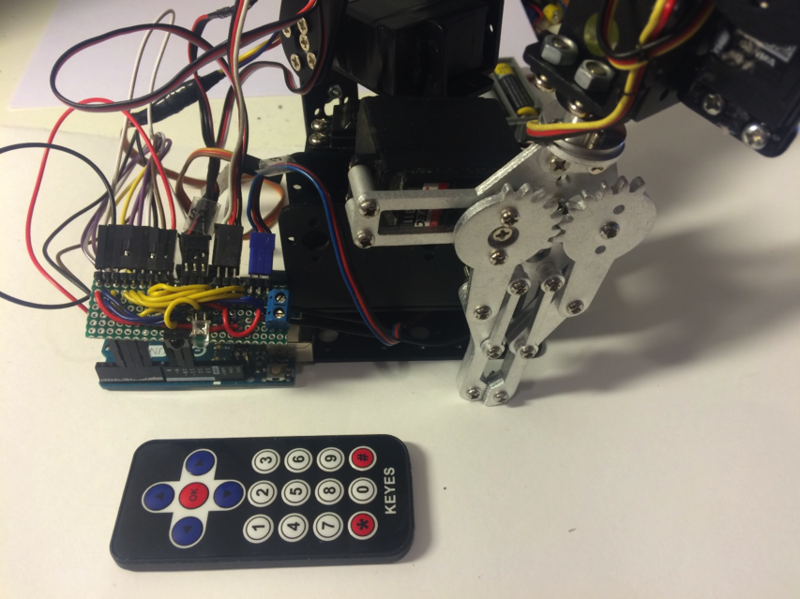 You can use a normal IR TV remote to control the servos on a mechanical robotic arm. there is 17 buttons on the remote I used but I only used the 12 buttons on the bottom. 2 buttons for one servo, one is for clockwise and the other is for counterclockwise.